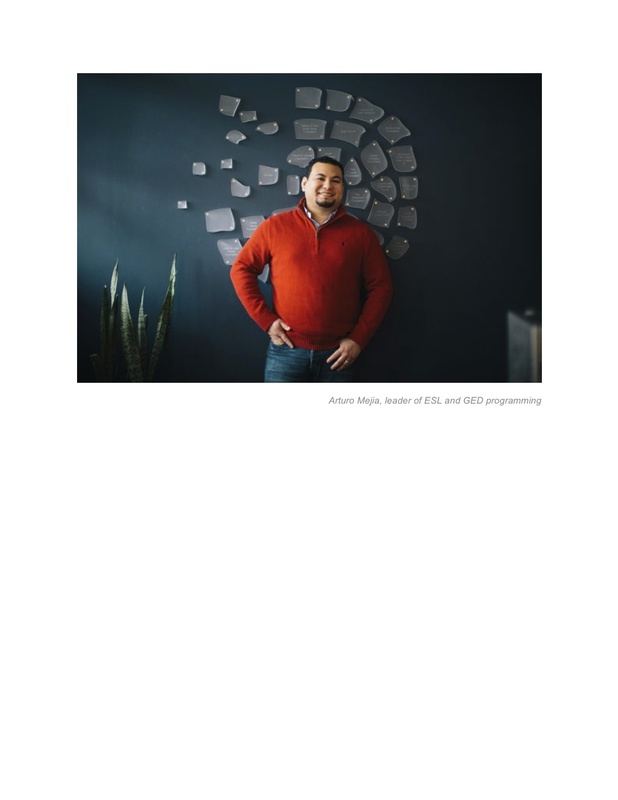 The Landscape is a data-driven project by the Omaha Community Foundation that tries reconciling cold hard facts with warm personal stories in order to get a better, more intimate grasp of how the city’s doing in key quality of life areas. Ultimately, the foundation hopes the project gives it and the organizations that donate through it and the nonprofits it partners with a more measurable appreciation for the community’s chronic and emerging needs and ways to impact positive change in addressing those needs through philanthropic giving. This is my story about The Landscape for the May-June-July 2017 issue of Metro Magazine (https://issuu.com/metmago/docs/thegivingguideandeventbook2017). Data points measuring quality of life factors and stories telling people’s actual lived experiences behind the statistics converge in a new Omaha Community Foundation project. Launched in 2016, The Landscape is a data-driven look at how the metro’s doing in such key focus areas as health, neighborhoods, safety, transportation, workforce and education. Implicit in the project is a reality-check that finds Omaha’s high Best Place to Live rankings tempered by issues of chronic poverty, gang violence, sexually transmitted diseases, underemployment, educational achievement gaps and other disparities among underserved populations. The project website connects community stakeholders to content that provides snapshot glimpses of where Omaha stands, for better or worse, in these areas. Though it went live in 2016, the project hallmarks of using date plus stories was conceived in 2014. Even before that, in 2010, the foundation committed to using data and indicators as part of its strategic plan. The Landscape culls together metrics from various sources to create a free, online public access base whose information is not just for academic or public information purposes but to guide the foundation’s donor, knowledge and nonprofit partners to activate positive change. At its heart are people’s voices that illustrate and intersect the very challenges and opportunities illuminated by The Landscape. The Landscape is only as compelling as the information fed into it. Boyd said the goal is to keep people, not numbers, at the forefront since data only tells part of the story. The real essence and nuance about a situation comes not from stats but from people describing their own experiences with everything from domestic violence to unemployment to homelessness. 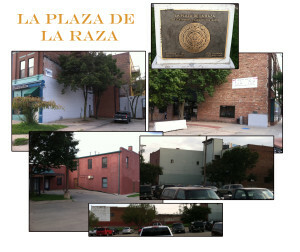 The project website, http://www.thelandscapeomaha.org, highlighted the focus areas of health, neighborhoods, safety and transportation to start with. Workforce and education focus areas get rolled out this spring. Boyd said the next step is explaining “what this project is all about” and how people can interface with it. The website includes lists of nonprofits to engage, an action kit with specific ways to connect, collaborate and respond and a resources guide for social services and supports. There’s also a page where folks can share their stories. The site is getting traffic and the foundation is fielding calls and emails. “I think there’s a lot of intrigue,” Boyd said. “There’s certainly questions around what this information really does mean for us. So part of 2017 is also about having conversations about what our intentions are and how we as a community might be able to utilize this information as a place of power to really help us coalesce around issues at potentially greater levels. “Some of the data is gut-reinforcing because it confirms our sense for how we’re doing as a community in things like healthcare, where people in poverty naturally do not have healthcare coverage at a high rate. Other pieces of information are more surprising because it runs a little counter to the broader narrative of how we talk about things like poverty. For example, there’s a real housing disparity with black Omahans. Black home ownership here is 8 percent lower than the national average. She said The Landscape’s broad scope provides an accurate picture of Omaha across many sectors. The Landscape. she noted, is a resource for the community by the community. Boyd emphasized that problems generations in the making will take time to reverse and that the foundation is in it for the long haul. The reality behind The Landscape’s data sometimes overturns the image of a thriving Omaha and touches on sensitive issues such as race. The truth hurts. “We don’t want to ignore the fact we see poverty increasing in our community,” Boyd said. “Even if you control for socio-economic status factors there are other points of disparity. If you want to take in the full conversation you have to own that issues of race do present real challenges. Structural issues that have led to poverty or disparity for segments of the African-American, African, Latino-Hispanic communities. Boyd said The Landscape’s efforts are not meant to compete but rather complement work others do in addressing such matters. “This isn’t meant to take the place of these amazing things that have already been put in motion. If anything, what we’re trying to do is further reinforce some great work already happening and that we’ve tied together in the Landscape. If we can coalesce with these, add additional momentum to where there’s already momentum and continue to bolster progress in others, then we’re all going to benefit as a result. She said The Landscape is poised to aggregate and extend data others gather to reach new audiences and share more information than otherwise possible.. The hope is that the Landscape serves as a catalyst for Omaha’s giving community to take action. The Landscape invites people to be a part of the change by getting involved, whether serving on a board, working with their neighborhood association, participating in community forums, running for elected office, voting, donating, volunteering. “There are opportunities at various levels to consider what you bring to the table individually that can help play a role in driving the change and that’s different for different people. We do work with donors and so investment in some of these areas is certainly a possibility. But investment alone isn’t going to accomplish it either. Community listeners are among the change agents The Landscape aims to activate. Welcoming others, sharing information, and stepping up to ask for change. Edwina’s work has helped to create a significant impact on her very own street. In a matter of several months, Geo lost his business and home and found himself living in a friend’s shed. With a spirit of resiliency and hope, Geo shares how income loss and homelessness can affect a person’s physical, mental, and spiritual health. George “Geo” LaPole, owned an antique business in South Omaha, and when he lost his business, he lost everything. Struggling with depression and other health concerns, he was forced to make some difficult decisions. Should he spend what little money he had on his hospital bills, monthly medications, healthy food, or a place to live? The choices were difficult ones and only exacerbated the issues he was already dealing with. Karen is a breast cancer survivor who tells her story about how state and federal health programs helped to catch and treat the cancer at an early stage. After moving to Omaha, Karen was out of work and lacking healthcare coverage. She was used to visiting her healthcare provider every year, but missed an annual exam because she was no longer employed and couldn’t afford to pay out of pocket.. The Landscape’s designed to be adaptive and to reflect new facts and best practices as they emerge. With dozens of knowledge and nonprofit partners, combined with so many moving parts – meetings, forums, studies – covering such a broad swatch of the community, she said it’s little wonder the project has been “in process for a long time.” She added, “We wanted to be really diligent with this. In order to do this as thoughtfully as we intend to it really requires a lot of conversations with lots of different people and organizations and understanding their priorities and the work they already have ongoing and where there’s alignment and how we can come together. Getting to this point has been an education. Data defines the project but an improved Omaha, not an archive, is the end goal. “We’re going to stay connected to the data on this project. so three to five years from now we’ll want to see how things are going. But we’re not agnostic, we want to see change in the right direction on these indicators. We very much care these things move in the right direction. When we think about our own strategy and the work of the Omaha Community Foundation, we’re going to continue to be thoughtful about the piece of the puzzle we can be in trying to help affect that. Programs and policies are often shaped by individuals’ personal stories. The men and women profiled on The Landscape website offer intimate stories that have the power to influence and inspire change. “The storytelling is so important to this project,” Boyd said. “The storytelling really gives life and depth and perspective to this data. There’s making the data accessible and then giving the data meaning. That’s going to be an important part of our work going forward. In The Landscape, everyone has a story, everyone has a say. Murals are the great mash-up the art world. Their size and themes lend themselves to big, bold visions landing somewhere between paintings, posters and frozen film images characterized by dynamic swirls of figures, places, events and symobls. Mike Giron is one of Omaha’s busiest muralists and he’s the subject of an Omaha Magazine (http://omahamagazine.com) profile I wrote that appears in the May-June 2017 issue. Giron’s work for the ongoing South Omaha Mural Project has taken him and his partner artists deep inside that district and its ethnic neighborhoods. But he does more than murals. 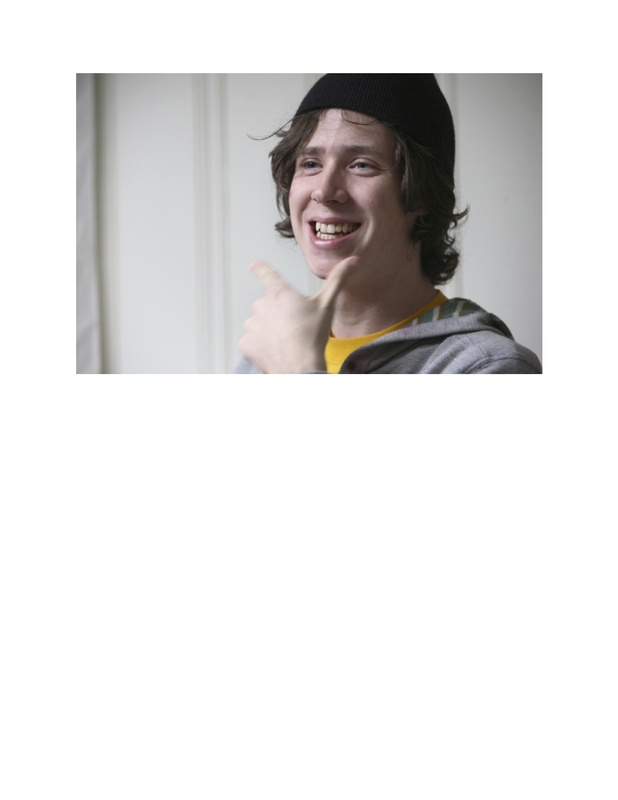 He makes studio art and he also teaches art at Metropolitan Community College. And he helped design the exhibition spaces for the recently opened South Omaha Museum. Historically, South Omaha is the city’s receiving community for new immigrants and refugees, though North Omaha plays some of that role, too. Blue collar jobs in the commerical, industrial labor sector have provided the livelihood for succeeding waves and generations of ethnic groups to have settled there. South O once had and to some extent still does have neighborhoods with distinct concentrations of ethnic groups. Traditionally, these ethnic enclaves become communities within the larger community. At one time, there were neighborhoods where Poles, Czechs, Lithuanians, Croats and other peoples of Eastern European origin established their own enclaves. There were also strong Italian, Irish and Mexican contingents. And the Great Migration brought many African Americans from the Deep South here as well. The railroads and packing houses were the main employers for many of these new arrivals. World War II-era manufacturing jobs were lures as well. 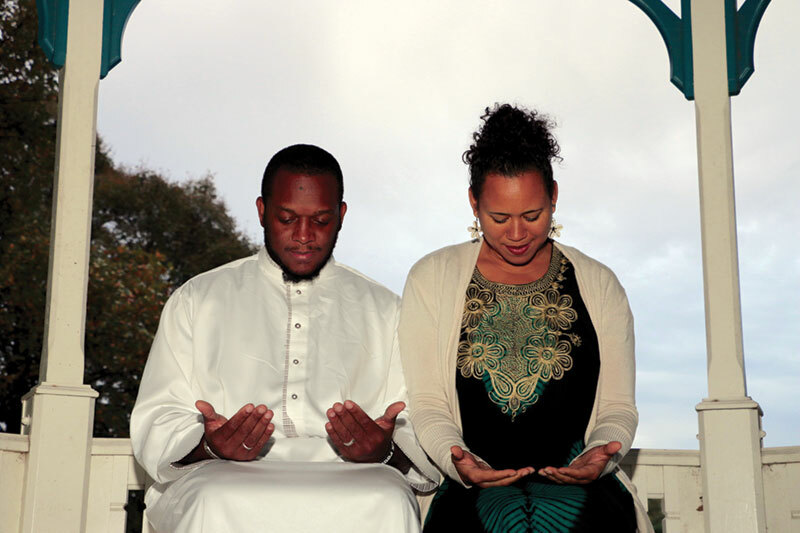 The residents living in the various ethnic neighborhoods that took shape were bound by their shared birthplace, language, customs, religious affiliation and so on. They had their own churches and community centers that reinfoced their tight-knit connections. Festivals celebrated their hertiage and traditions. Having long ago assimilated and with second-third generation descendants moving to other other sections of the city and with the wartime, railroad and packing house jobs disappearing, those once ethnic-centric areas in South Omaha became more homogenized over time. Today, only trace elements of their once ethnic identities remain. The last three decades have seen the emergence of new emigrees from Latin and Central America, Asia and Africa, thus repeating the patterns that happened with earlier groups in the late 19th century through the late 1920s. All of this is context for an art project now underway in South Omaha that celebrates the different heritages that have made it such a melting pot over time. 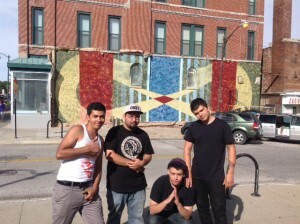 The South Omaha Mural Project is creating a mural for each of the major ethnic groups that have populated the area. A future mural may also commemorate the stockyards-packing plant epoch that dominated the South Omaha landscape for decades with that industry’s acres of buildings and structures that emplpyed thousands of people and with all the ancilliary businesses that served those workers. What began as a one-off neighborhood mural by Richard Harrison and his daughter Rebecca Van Ornam has morphed into a project with several artists depicting historical South Omaha ethnic groups and landmarks. When historian Gary Kastrick saw the South 13th Street mural Harrison and Van Ornam did illustrating the area’s Czech heritage, it sparked an idea for a mural culture series celebrating South Omaha’s role as a gateway for ethnic immigrant and refugee assimilation. More murals followed through the help of the South Omaha Business Association (SOBA), who secured grants for a history mural at the Metropolitan Community College south campus and a Magic City Mural at 24th and N. Thus, the South Omaha Mural Project was born. Artist Hugo Zamorano joined the team for a Lithuanian mural on the Lithuanian Bakery at 5217 South 33rd Avenue. 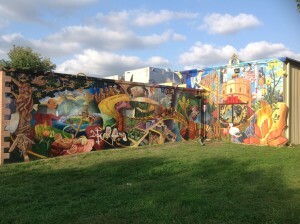 A Mexican mural in the Plaza de la Raza was unveiled July 10. New murals are planned for the Polish, Irish, Croatian, Italian, Jewish, African-American ethnic enclaves that traditionally called South Omaha home. The more recently arrived Honduran, Guatemalan and El Salvadoran communities will get murals, too. There’s talk of one celebrating South O’s stockyards-meatpacking legacy as well. 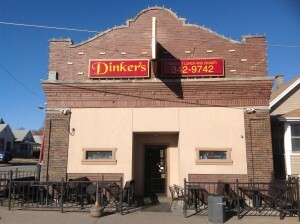 The Polish mural will adorn a wall of Dinker’s Bar at 2368 South 29th Street. The Irish mural will grace another popular hangout, Donohue’s Pub, at 3232 L Street. Every wall poses its own challenges. “When a wall is rough and covered with obstacles like water meters and things we are coming up with solutions of putting up profile cut sign boards with characters and symbols on them, so the wall has sort of a pop-up book, three-dimensional feeling to it,” Harrison said. Project funding comes from SOBA, the Nebraska Arts Council, the Mayor’s Neighborhood Grants Program, the City of Omaha’s Historical Grant initiative and various community sources. Some ethnic organizations hold fundraisers to help underwrite their individual murals. The South Omaha Neighborhood Alliance is a new partner. Harrison is a project facilitator and a supporting artist. Michael Giron and Zamorano trade-off as lead artist. Kastrick serves as the history consultant. Catalan is an advisor and liaison. This labor of love entails extensive community engagement and input for each mural. Multiple public meetings elicit information and ideas. The public can view the final sketch projected on a wall and can join community paint days. He believes the community taking ownership of the murals explains why none have suffered graffiti. After the communal paint days, Harrison, Giron, Zamorano and other artists paint for a month or two – working in acrylics to sharpen images and to apply shading and highlights. A clear protective sealer is added at the end. When a mural’s finished, a public celebration is held. This community-based approach is much more involved than the private commissions Harrison does under his A Midsummer’s Mural business but he said it’s all worth it. Kastrick, a retired Omaha South High history teacher who leads South Omaha history tours, hopes the murals educate and entertain about South O’s long, unfolding melting pot story. He and Harrison believe the murals can be destination attraction urban maps for residents and visitors wanting to learn about the area’s cultural history. None of the primary artists working on the project are originally from Omaha and for these transplants each mural is an education. 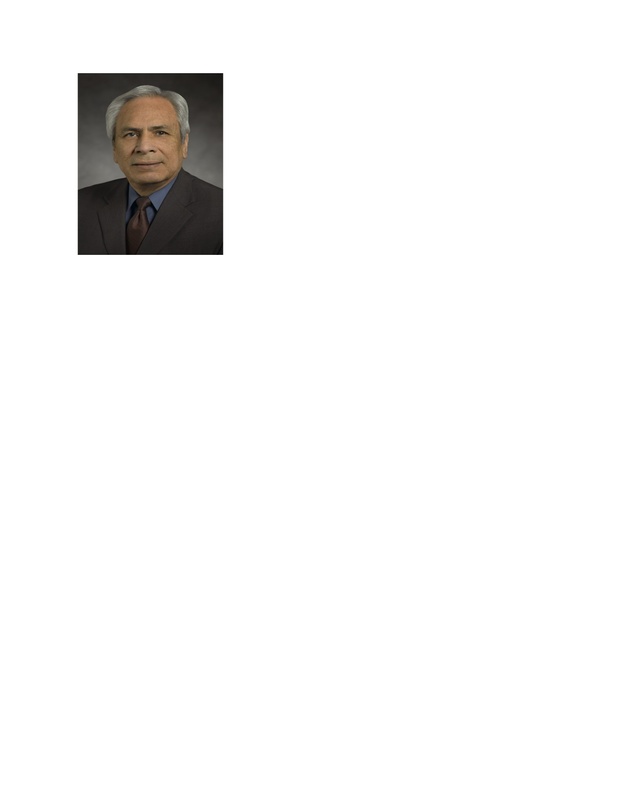 “There is a lot that I did not know before this project and still more to learn.,” said Zamorano. The Mexican mural he took the lead on is a perfect example. Follow the project’s progress at http://www.amidsummersmural.com/for-communities/south-omaha-mural-project/.